Home / SD Card Exp. 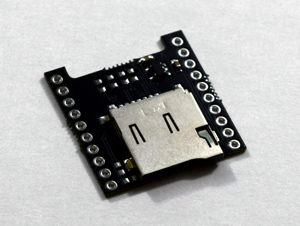 Piccolino pin-compatible MicroSD Card expansion/reader. Just slide it at the bottom and solder 6 pins (marked on the back of the SD expansion pcb). Pins to solder are VCC GND D5 MISO MOSI CLK.